The GFFA conference was an eye-opener for me. After 35 years of crusading the industry, it is energising to see to see that the «high politics» is finally paying attention to the fundamental changes in agriculture. 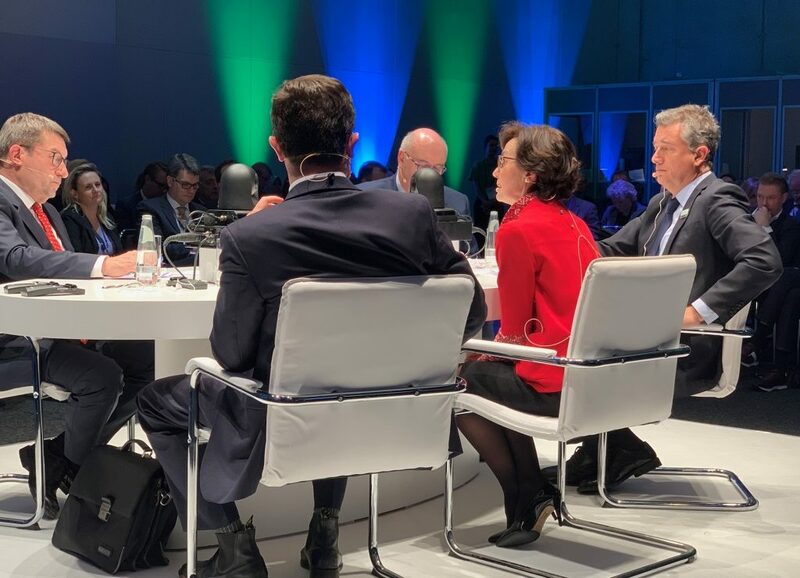 The Berlin Agriculture Ministers’ Summit brought together more than 80 agriculture ministers and policy-makers from all around the globe in order to discuss the issue «Agriculture Goes Digital – Smart Solutions for Future Farming”. For years we at Pessl Instruments, together with many of our ecosystem partners (John Deere, Adama, FarmFacts, Vodafone, Nokia, Ericsson, LoRa Alliance, and many others), have been offering ready-to-use solutions that provide real financial impact to farmers. These digital tools help farmers worldwide make making better-informed decisions, helping them with better resource allocation (seed, water, fertilizer, diesel) and at the same time making their fields more resistant to farming risks (drought, excess water, frost, heat stress, insect damages, fungal infections etc.). These tools can assure farmers a better final outcome. In the last decade, billions of investors’ money has been poured into start-ups with the goal to “change analog farmers and make this industry digital”. A significant percentage this money is going to be lost as many of the start-ups and investors do not understand the complexity of the agricultural industry. Many investors perceive farmers as backward and slow in taking on new technologies. But this is only partly true. Many start-ups and investors did not do their homework in trying to understand that in order to change farmer’s behavior, investors should first understand the real need of a farmer, the complexity of farming and the whole ecosystem. It takes a whole generation of not only farmers, but political side as well to accept and understand the ongoing changes. And the workshop in Berlin, by being organized only now, proves that. Australian farmers have always been leaders in the application of smart farming tools, but have face constraints including communication problems in the outback due to the size of the country, together with the scattered population. Politics worldwide need to make rural internet connectivity a MUST; when that is a reality, we will see rapid changes and uptake of the technology on farms not only in the developed world but everywhere. The Earth has enough land to feed 10 or 12 Billion people – if only we would utilize it better. The digital tools are available, ready to be used and help farmers globally lose less to harmful insects and disease damages, help them with better water and fertilizer usage, or in other words “produce more with less” using technology and early warning risk services. This requires a joint effort of the policymakers, the farming industry, the supply industry, and the farm advisory services to train farmers, young or old, on how to apply the technology and start, as our slogan states, “Turning Information into Profits”.